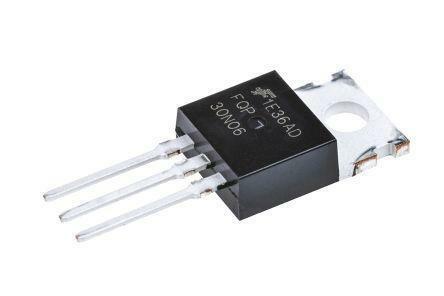 The FQP30N06 is a 60V N-channel QFET® enhancement mode Power MOSFET is produced using Fairchild Semiconductor's proprietary planar stripe and DMOS technology. This advanced MOSFET technology has been especially tailored to reduce on-state resistance and to provide superior switching performance and high avalanche energy strength. This product is general usage and suitable for many different applications.